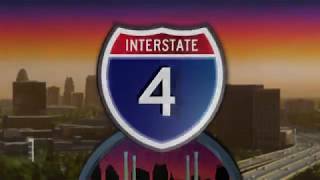 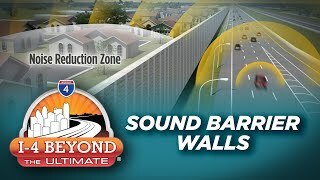 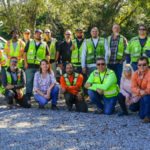 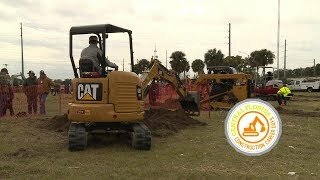 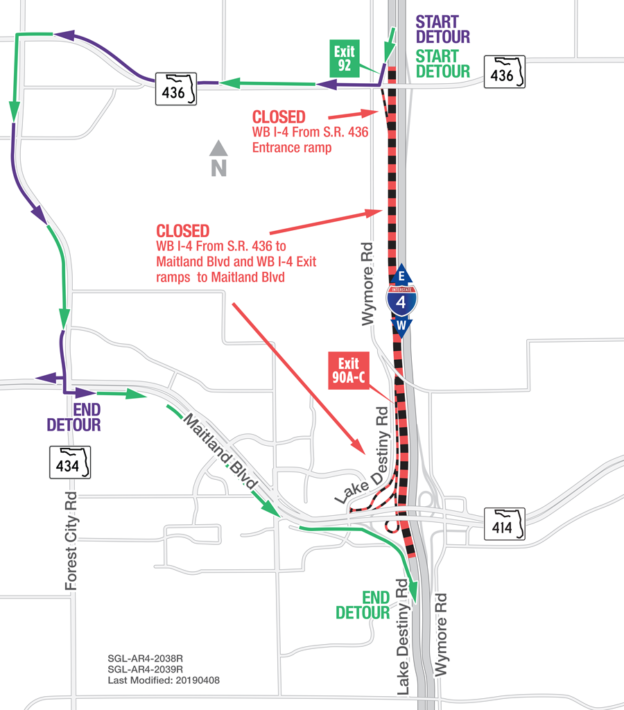 A traffic shift of the westbound Interstate 4 (I-4) travel lanes between Maitland Boulevard (State Road 414) and Lee Road (State Road 423) has been rescheduled to open as soon as 5 a.m. on Sunday, March 31. 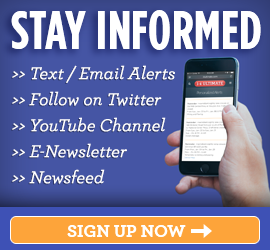 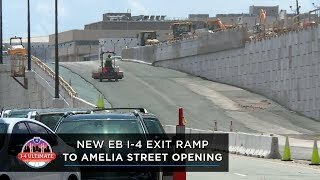 This traffic shift was originally scheduled earlier this month, but was postponed and moved to this date instead. 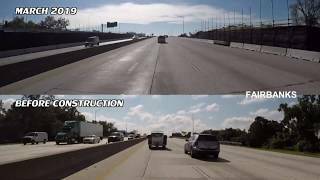 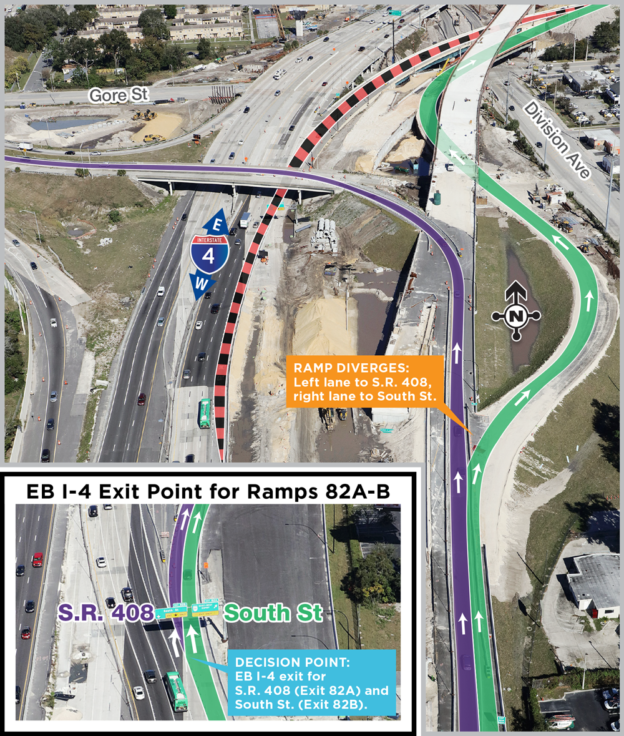 This shift marks the first instance where both the westbound and eastbound I-4 lanes are in the final configuration at the same location. 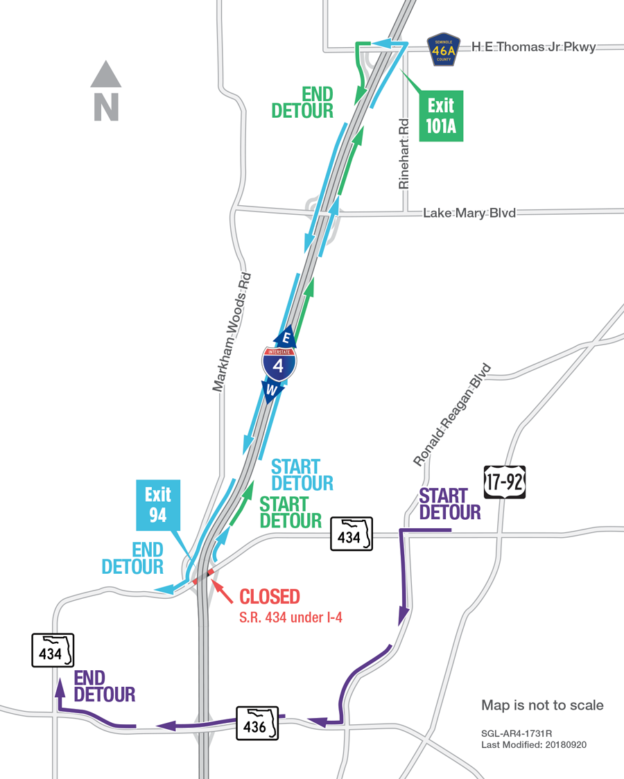 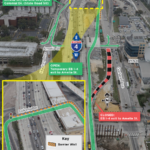 To accommodate the shift, the span of westbound I-4 between Maitland Boulevard and Lee Road is closing at 12 a.m. on March 31 and reopening in the new alignment by 5 a.m. Traffic will be diverted onto Maitland Boulevard and follow a detour route to re-enter I-4 from Lee Road. 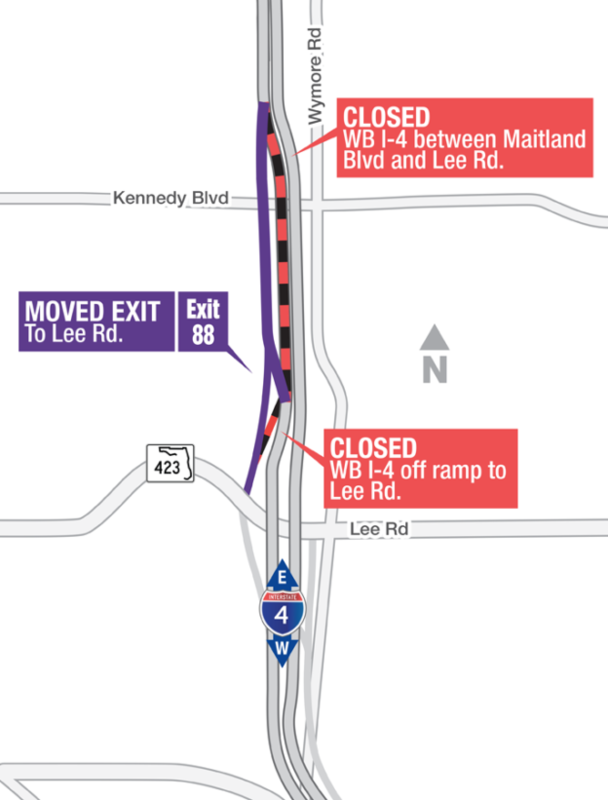 In addition, the westbound I-4 on-ramp from Maitland Boulevard and the westbound I-4 exit ramp to Lee Road are closing from 9 p.m. on March 30 until 5 a.m. the following morning. 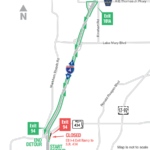 Motorists should also expect nighttime lane closures on westbound I-4 beginning as soon as 9 p.m. on March 30.